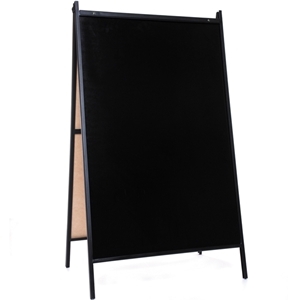 Increase sales with the A-Frame dry erase board. The dry erase surface is durable, easy to write on and easy to maintain. The two-sided, a-frame dry erase board comes with one set of (5) markers and is foldable for easy storage.